Those highlighted words? These are resume keywords. The rest is pretty much your resume. This is exactly what recruiters and hiring managers see when they read your resume. Don't have the right resume keywords? The employer will move on to someone who more-closely matches their tastes. So, how do we find the best resume keywords and phrases? Keep reading! We’ll go through this together, step-by-step from beginning to end. You’ll soon know what resume keywords to use to finally get that dream job. Action verbs and resume keywords to use. Plus, what resume buzzwords to avoid. How to include keywords in resumes, cover letters, and emails for greatest impact. What is a scannable resume and how to pass the ATS resume test. The best way to determine what keywords to add to your resume to land the interview. Want to get advice on top resume keywords to put on your resume and save time while you’re at it? Try our resume builder. It’s fast, easy-to-use, and you'll get good resume keywords examples while writing your resume. 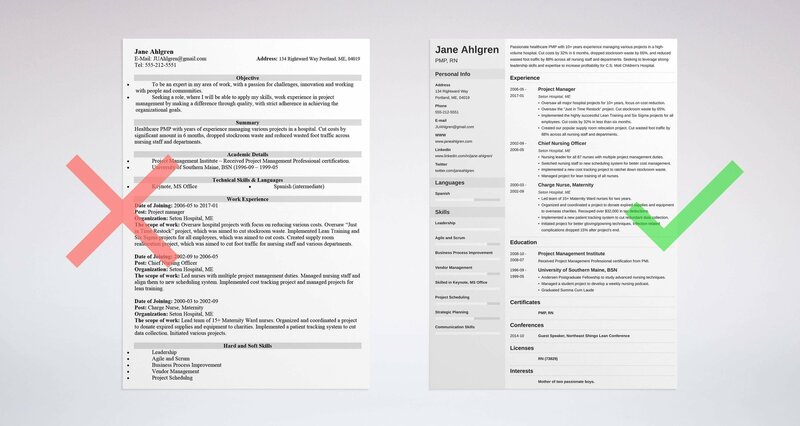 See 20+ resume templates & create your resume here. Example of a resume making use of resume keywords - See more templates and create your resume here. Resume Keywords: What’s the Big Deal? There are ~250 applicants for typical corporate job openings. That’s too much for a human to handle, so recruiters rely on Applicant Tracking Software (ATS), which we'll explain in more detail in a moment. Screening software such as this gets the job done in a second by scanning for resume keywords. Did you pass the ATS resume-scanning test? Don’t get excited just yet. Hiring managers take roughly 6 seconds scanning each surviving resume. Guess how they get the job done so fast. Exactly. They look for resume keywords, too. What are resume keywords? Resume keywords are position-related expressions which describe experience, skills, and traits. Be careful: Optimizing resumes involves more than just adding keywords. It also means omitting bad ones. How many resume keywords? The general rule is 25-30 resume keywords. Don’t spam the bots and their human overlords. What keywords should I use? Read on to find out! Pro Tip: Make sure everything’s spelled correctly. Misspellings often look worse than inexperience. There was this girl I liked back in high school. I knew this girl enjoyed volleyball and loathed US Gov. But, everyone else knew that, too. Bringing these points up would have been just as lame as commenting on the weather. It’s like the perfect OKCupid profile! 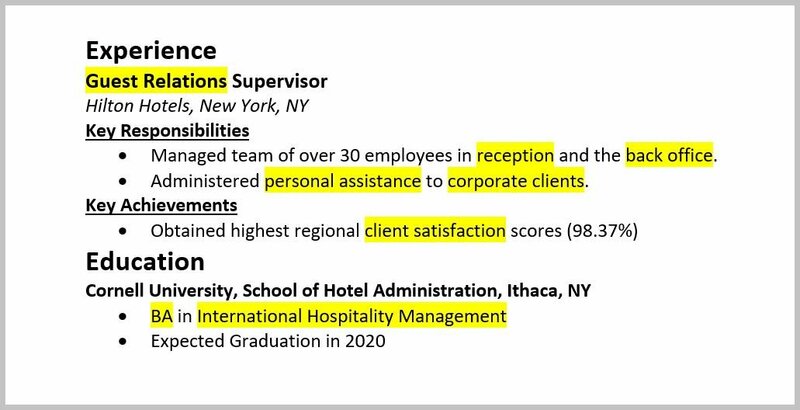 Googling gives good descriptive words for resumes (blue-highlighted), but we’d miss employer-specific ones (yellow-highlighted). Most important resume keywords come from job listings. Just one important note: Resume keywords aren’t magic words you have to use no matter what. Don’t lie! You’ll crash and burn in a blaze of unemployment glory, quickly. Where should you add these resume keywords? In the following sections, we’ll look at how to strategically place resume keywords in all the important places: in the resume summary, objective statement, experience section, education, skills, and even in the cover letter and email. What’s the best resume keyword? The company name. And the right job title. But you know that already! Personable customer service representative with 2+ years expertise in fast-paced call center environment. Achieved company-highest satisfaction rating according to surveys (99.36%). Seeking to advance career with the team at Carson Logistics. Friendly customer service rep for the last 2 years. 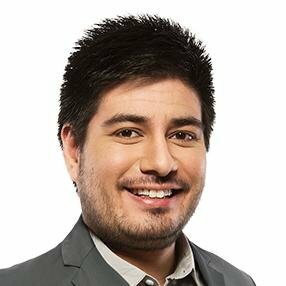 With my knowledge of phone and email support systems, I hope to join a valuable company for a rewarding career. The right example is personalized and includes one of your most important searchable keywords. The wrong example’s made for mass-delivery. Use it and prepare for mass-rejection. Pro Tip: Use a job description keyword finder for resumes such as Jobscan which’ll give your resume a free ATS scan. They often provide resume wording examples, too. See this example? You’ll need a bachelor’s degree, but they’ll also look for computer science-related resume phrases. See? We’ve got the “bachelor’s degree” resume keywords employers look for in there! You’ve identified some ideal resume keywords from the job listing - good work! However, those can’t be all the resume keywords that you use. It would be like me telling that girl I liked that I enjoy every single thing that she likes - suspicious and borderline-stalkery, no? Now it’s time to build up the rest of our character by doing some industry research. Applying for an airline’s cabin crew? Google keywords for a flight attendant resume. Need keywords for skills on an IT resume? Google those, too. However! Use the resulting list of skill keywords as guide, not gospel. Take this excerpt of business manager resume keywords, for example: you could have 10 years of related manufacturing experience, but you probably do not. Don’t copy-paste! Where do you put these resume keywords? If you have hands-on experience, mention them in the work experience section. You can also do the same when talking about your education, if applicable. See that? We inserted hospitality and customer service resume keywords throughout the relevant sections. Again, no lying! This will see you out the door, lickety-split. Now you’ve got a general list of skills and qualities to grab the manager’s attention, and a specific list of personal skills from the job listing to keep it. Pro Tip: If there are resume keywords you believe more important than others, increase its “keyword density” by using more. Our resume builder saves time, and with tips and advice on resume keywords, you’ll have a quality resume. Use our resume builder to have a great resume ready in as little as 5 minutes! See scannable resume examples which work with ATS resume checkers. So, we’ve gone through resume keywords from A to Z, from all the sections on your resume through to your cover letter and email. Now, time to learn why resume keywords really matter. Recruiters are getting more and more applications these days, and that number will only continue to increase. How can they keep up with the flood of job applicants? By outsourcing some of the work to the robots. That’s right - robots. In this case, robots mean the ATS, or the Applicant Tracking System, which is software that hiring managers can use to help them sift through resumes and identify those with particular resume keywords. Manager scans resumes into computer. Manager gives ATS keywords to look for. ATS reads resumes, looking for keywords. ATS sorts and grades resumes based on keywords. According to score, hiring manager will/won’t call applicant for interview. While they’re getting better, they remain outdated and buggy. Most don’t yet compensate for spelling variations. For example, MA in Investigative Journalism could be M.A. or Master of Arts. So search LinkedIn to find the most common spellings. About 6K users use C.P.A., but a whopping 862K members use CPA. About 1.1M go with M.B.A., but 3M members use MBA. Resume robots reject up to 75% of CVs and resumes before they reach a human recruiter. By learning how to speak the ATS’s language, you dramatically increase your chances of securing an interview. To succeed, read the job description thoroughly, target your titles, expand on relevant skills and experiences, and cut the fluff. You’ll show the robots and the humans why you’re the perfect match for the job. You need to make your resume scannable to help them out: Mirror the wording of the job ad. Use key phrases verbatim, but don’t just copy and paste everything from the ad. Though formal and valid, it also feels cold and impersonal, like how commoners might’ve addressed the gentry in the Dark Ages. You don't want that. You want to make the recruiter feel nice and comfortable. How do you that? Easy. Use the best resume keyword - their name. It’s a personal touch, likely granting you more than the typical six seconds scanning your resume. It shows you took time researching them and that you’re not just spamming your resume everywhere. Did you catch that? Does the job description require something specific in the subject line? Don’t forget the position title is a critical resume keyword! Pro Tip: Drop their name in the beginning: “I’m super interested in working at [COMPANY-NAME] because...” See? Feels much more personalized. Cover letter keywords are important. Need more advice on crafting cover letters? Check out our 35+ successful cover letter tips or learn what to include on a cover letter. What does that even mean? A few of those power keywords and resume buzzwords here and there sound great. But if you stuff it to the gills with every industry and corporate buzzword out there, you’ll end up hurting your chances instead. Avoid calling yourself the best of this or exceptional at that. Let your experience and qualifications speak for themselves. No one likes braggers. At a previous job working with cell phones, we made up words for our own benefit. The Nexus phone, for example, we pluralized as Nexi (like cactus to cacti). Nexus is easily understood. Nexi wouldn’t be recognized by the ATS or hiring manager. Would she fit well here when she’s been the boss previously?Include these only if you must (e.g., parallel position). Pro Tip: Look through your resume & see if “boring” words are overused. Replace these for more of a kick. We want your resume actively considered, and active voice is important towards this goal. Homewares department was managed by me. See the difference? The first is concise and to-the-point; the second seems evasive and less-clear. Active voice is preferred on resumes. We use them to actively describe your main tasks and achievements. Here are more than 750 resume keywords grouped into industry and trade categories. Click to navigate to your profession. Job-Tailor. Obtain perfect resume keywords as you match resume to job description. Use resume keywords finders and job posting keyword analyzers to help. Company-Tailor. Name-dropping the company within the heading is great for the ATS and manager. Manager-Tailor. Address managers by name in cover letters to personalize them. Tailoring is shortening. Avoid jargon, specific titles, and other poor resume keywords. You’re now ready to send resumes and cover letters that’ll be the key to unlocking desirable opportunities and scoring a word with the employer. Now, go check out our interview tips and STAR method article to prepare for your big meeting. What did you think? Questions on resume keyword scanning software or how to insert perfect resume keywords? Got more advice on keywords for resumes? Let us know in the comments below!